Kung Ano Yung Kina-Pangit Ng Mukha Mo.. Yung Din Kina-Pangit Ng Ugali Mo. Bagay Na Bagay yung Mukha Mo Sa Ugali. Perfect Combination Pare! Haha!" 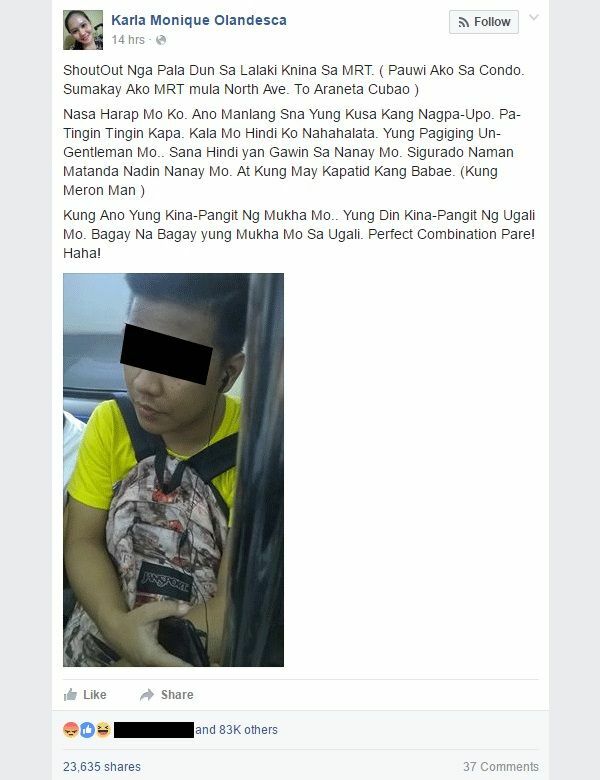 As of 9:30 a.m. today, Olandesca's rant garnered more than 92,000 reactions and 26,000 shares. Her FB post has gone viral as people drop sarcastic comments and criticisms on her timeline and on pages where it is being reposted. Some netizens told her not to be judgmental, believing that the man did not offer his seat because he may be tired or going through tough times. Olandesca just said she respects their opinion but doesn't care about them.